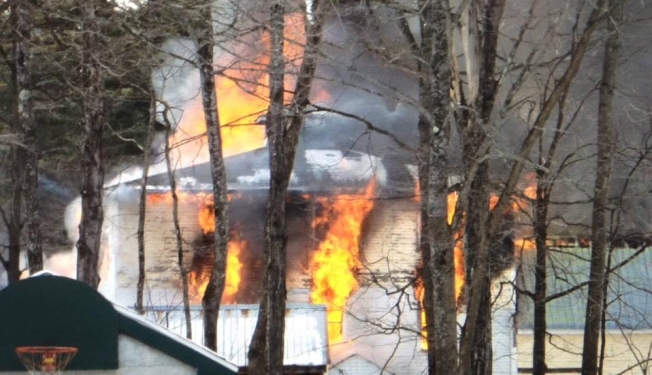 A historic mill in Bartlett, New Hampshire, was destroyed by fire Friday afternoon after more than a century in operation at that location. The Conway Daily Sun reports that the cause of the fire at the Kearsarge Peg Co. is still under investigation. Bartlett Fire Chief Pat Roberts declared the building a total loss. No injuries were reported. According to its website, the original mill opened in 1865 in Andover and moved its operation to Bartlett in 1878. Its original purpose was the manufacture of wooden shoe pegs, mostly out of white birch. Owner Paul Soares of Bartlett and Osterville, Massachusetts, purchased the business in 2001. He told the newspaper the building was not insured. Soares said he was grateful no one was injured.